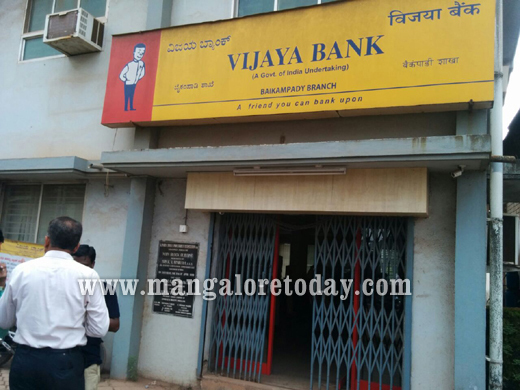 Mangaluru Oct 13, 2016: Some unidentified miscreants broke into Vijay Bank at Baikampaady ,the banks iron window was broken from behind, but all belongings and cash are intact . It was an unsuccessful theft as they failed to break the strong room and returned empty handed. 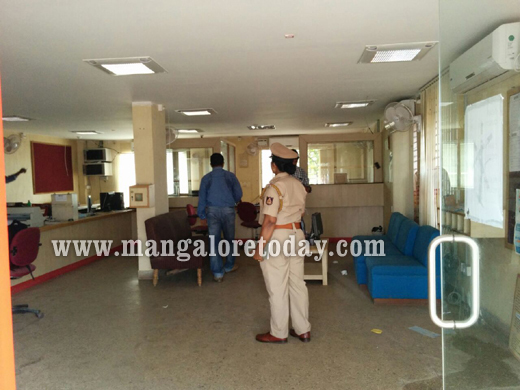 Due to festive holidays, bank remained closed for five days and theft came to light today October 13th Thursday when the bank employees entered the bank. 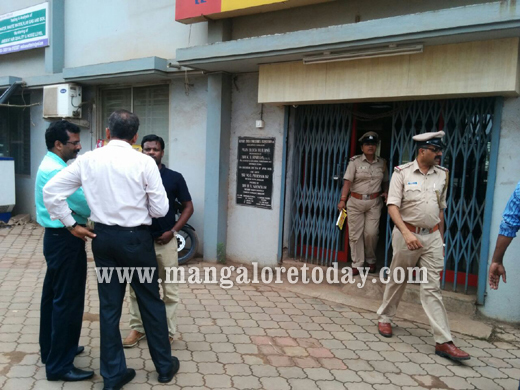 Panambur Police visited the spot along with finger print experts and registered the case. Think the robbers had plotted to rob the bank as there was continuous holidays for the bank. Effort of the thieves go in vain .